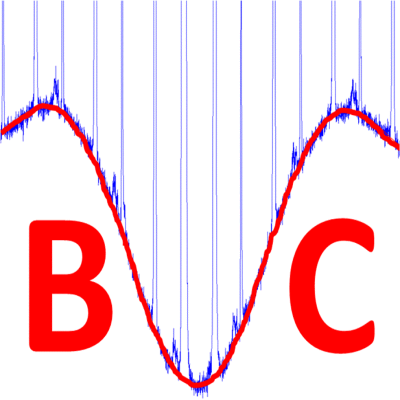 MY Baseline Corrector application allows performing automatic and reproducible baseline correction of 1D NMR spectra. It is especially adapted for large bandwidth, single pulse acquisition which suffers from important baseline distortions due to time domain truncation of the first points of the FID. Baseline corrector has been proved versatile enough to correct a wide range of baseline deformation on diverse nuclei and experimental conditions. The application supported Bruker raw and ASCII format. 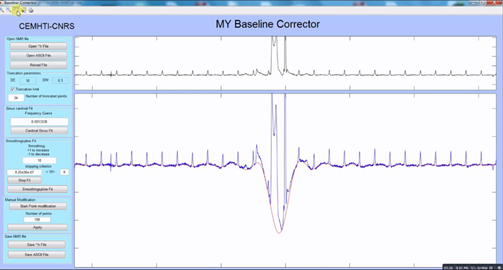 MY Baseline Corrector is developed in Matlab® but shared as a standalone application which doesn't need a Matlab license to be used. It is available for Windows, Mac and Centos 5 or 7. An internet connection is required to download the Matlab® Runtime (MCR). The installation procedure is described in the Instruction.txt file included in each zip file.